[Z06] Ai 260cc ls7 heads. Anyone have these? We need to pass a referendum that while we do not agree who is best, we agree that AHP is at the bottom of the HP heap. Hehe. That won't be fair...... But, for who??!?! PRC 285's. Mine work well as far as I know. I need to start making memes about my heads. Last edited by Innovate; 09-23-2018 at 05:41 PM. Your heads are a meme in and of themselves. LME, AI, WCCH in that order. I PM'd Richard Holdener to retest the newest LS7 heads. He just pointed to LS7 test from 7 years ago and mentioned that there is more interest in the pheasant heads. Sad. We could settle this once and for all. 1. My heads work and I am not messing with them. 2. Nick when my heads are mentioned. I've settled on AHP because they offer me what I really want, peace of mind at a good value. Great choice. You won't be disappointed. Last edited by UH-60DRIVER; 09-24-2018 at 09:07 AM. Other than peoples' thoughts and opinions, are there any hp/tq comparisons between AHP and other shops that re-work oem heads? The proof is in the numbers, which required being observant of AHP head results as they got released over the last several years, (aka "people's thoughts and opinions"). Or, you will need to research AHP and read the results for yourself which takes awhile. After a while you'll get a sense for what a health HCI LS7 is capable of, where it should be, and where it shouldn't be. Opinions here are not as subjective as coke vs pepsi. There are objective results out there on AHP, and the data are just scattered. Based off of what I have seen, the results from AHP heads have been less than the competition. 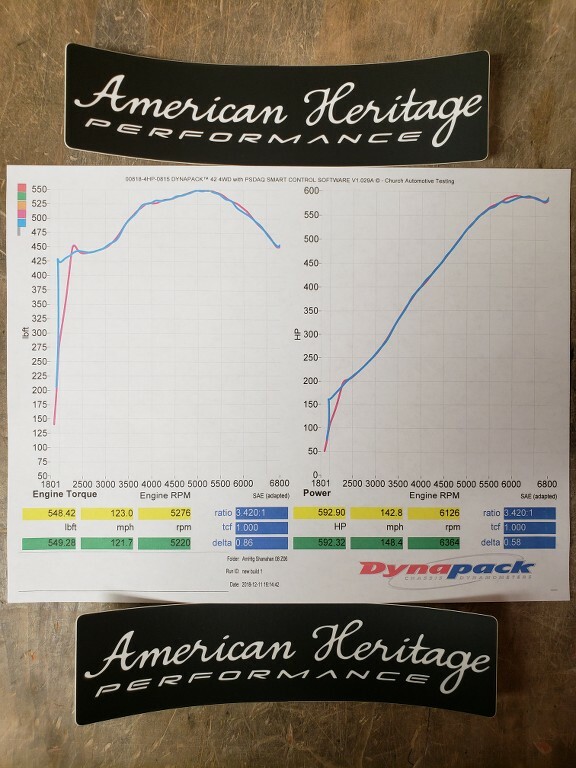 You'll likely never see an "AHP vs ____" dyno comparison. Just need to search alot. Most results are lengthy and mention customer service happiness to no end, but filter through that and pay attention to the numbers. Gotcha. An apples to apples comparison would be nice but not very realistic. At the time, I was choosing between WCCH and AHP and AHP's use of PM guides swayed me even though the shop I went to used West Coast almost exclusively. Tons of searches with no results so bumping this thread with the same question - anyone have the AI 260cc package and thoughts? I'm updating my heads primarily for the valve-guide issue and don't mine spending a bit more for a bit 'more' for aggressive street use. Lots of those happy with their 280cc package but are often paired w/headers/aggressive cam/etc looking to max out power. Only other mod I'm looking to do is a 116 cam(no headers, etc), and am guessing a less aggressive port would be a good match. AHP 'street port' is also an option(tons of great feedback there) but I like to exhaust all reasonable possibilities. Any thoughts/experience appreciated. Josh B: Our results are less than impressive.... What an ABSOLUTE FALLACY. 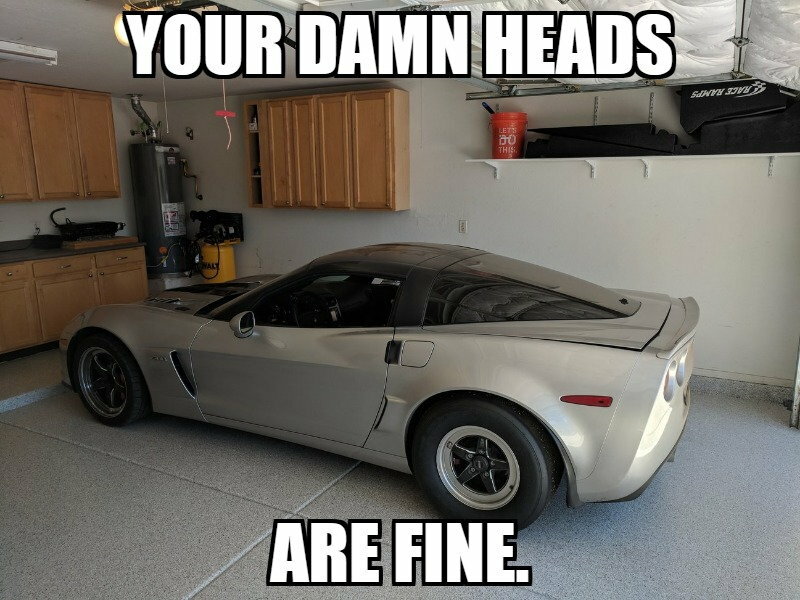 Just because you and some others dont personally like us does not mean our heads are not top tier and on some of the Fastest Z06's out there. Several of the Top guy on the Fast list our Running our AHP heads. Lots of guys running our heads are at, close to or even over 600rwhp! Sorry to TheadJack OP but we did want to step in and defend our selves against the Fallacies begin spread by some here. Lot of happy AHP customers out there making great car and driving their Z06's like they were meant to be driven!!! Last edited by American Heritage; 12-12-2018 at 10:43 PM. 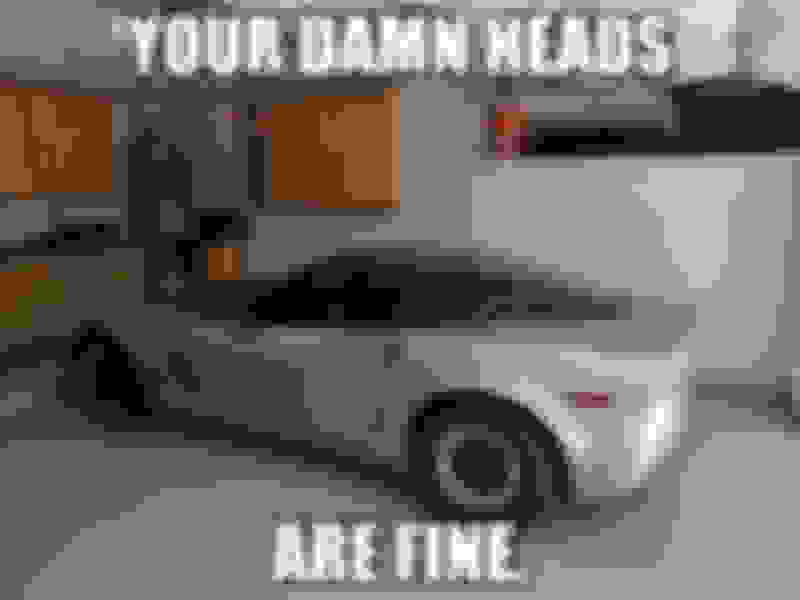 You said this here and in another post, specifically that your heads were on the cars at the top of the Fast List. What cars because nobody in the top 5 of the fast list have AHP heads. ​​​​​​Who has your heads in Dallas, I'll run them, hell, I'll spot them a couple. Last edited by Millenium Z06; 12-12-2018 at 11:05 PM. IMO people using AHP are more concerned with reliability than power output. From what I have seen most builds with their heads are using cams that are on the smaller size and they frequently feature a factory intake manifolds. I don't recall seeing any max effort builds with AHP heads so I think saying their heads don't make good power is being a bit unfair. Anyways how much power difference do we think there is from one factory style ported head to another? 5? Maybe 10hp? Since my bump/question (still unanswered) seems to have reignited this, I'll add my 2-cents. Thread heading is requesting info on AIs 260cc service, not their 280cc. I'm guessing most(if not all) looking into this (as well as AHPs 'street port') aren't chasing HP - there are plenty of threads to fight that one out in. With this said, having read just about every LS7 head fix thread there is, seems to me the only people complaining about AHP are those who haven't used/owned them(I'm sure there are exceptions as with every product made). The only way to truly answer the HP question, is to swap out competing heads with identical 'specs', on the same car, the same day(or at least same atmospheric conditions), same tuner at the same dyno and compare - if that's been done, even I'd like to see that. Having had multiple e-mails/conversations with Kohle, safe to say CS is top notch and am strongly considering them for this as well as their reputation for reliability, which certainly doesn't hurt resell either - always in the back of my head. I'm certainly willing to pay up a bit for CS, but for what I want (or at least what I think I want ), the AI 260cc, and maybe couple of others, are still considerations - hence my request. Without writing a book (and straying far from the thread topic myself), I'm sold on AHPs Cali 116 cam, and also considering their short block - alternative being a local SB rebuild. Quick Reply: [Z06] Ai 260cc ls7 heads. Anyone have these?